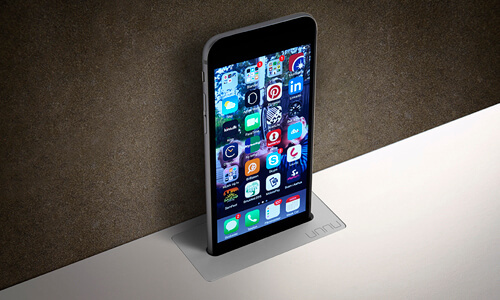 With a unnu charger it is possible to place and charge your iPhone directly in the top of the furniture. 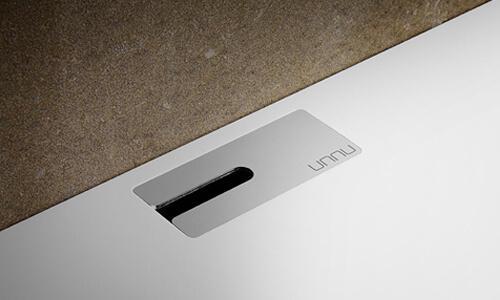 The unnu charger consist of a special produced plastic block that will be attached to a aluminum cover in the furniture. 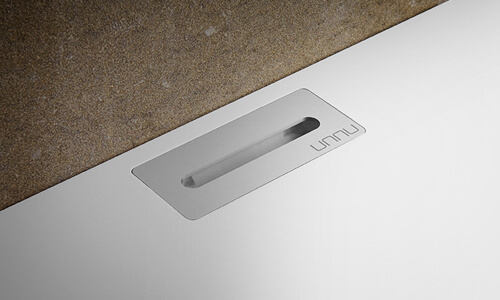 Remember when you order your unnu furniture to decide how many cable holes you need. It may be important in regards to which models you should order. 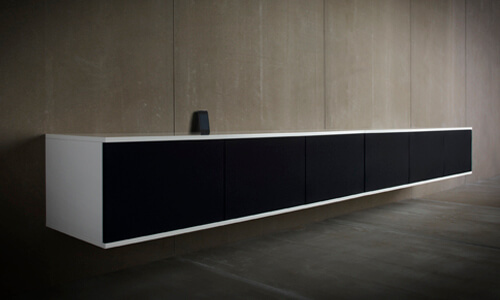 Here we show a unnu charger for iPhone in one model 231 in white mounted on the wall with six black fabric doors. 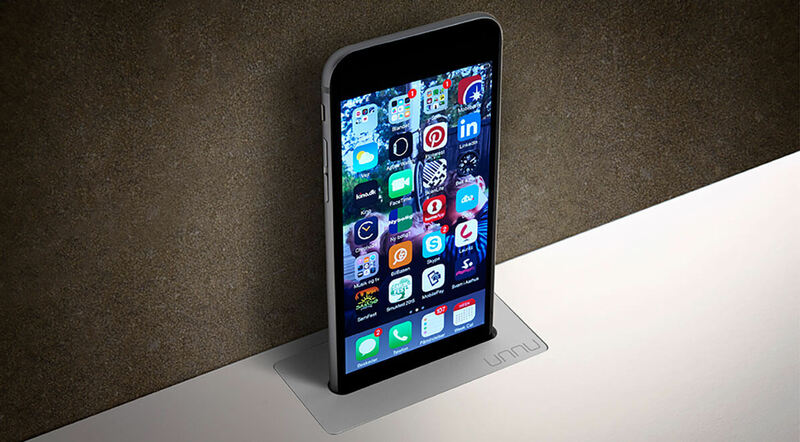 The unnu iPhone charger fits iPhone 6, 6S and 7.